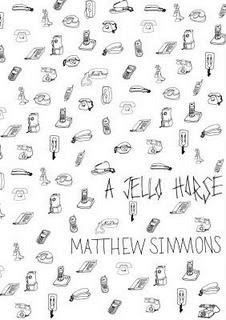 My book, A Jello Horse, will be published in May by Publishing Genius Press. There will very likely be a pinball-related contest to celebrate, and some special hardcover copies as prizes. I will be doing a May reading in Ann Arbor. And a June reading with Ryan Boudinot and Joe Meno in Seattle. i'm looking forward to "a jello horse"
Ryan Boudinot's "An Enemy Combatant of My Very Own"
Amy Minton interviews Victor LaValle on "Narrative Voice"